In the Biblical tradition, when humanity suffered from thirst or hunger, the faithful beseeched the Lord to intervene; rain fell, water miraculously sprang from rocks, manna was gathered or bread was multiplied. When humanity falls into doubt, troubles or sin, the Lord calls forth prophets to teach and to heal. In the first Christian millennium the faith had been rooted in Europe but pockets of spiritual thirst and sacramental hunger remained. In the beginning of the thirteenth century, the Lord inspired a Spaniard, Dominic Guzman, to rise as a prophet and a preacher to quench spiritual thirst, to satisfy sacramental hunger, and to heal the wounds of sin. St. Dominic was a man sensitive and alive to the world around him. Born in Caleruega in 1170, he later studied in Palencia, and became a canon at the Cathedral of Osma. Because of Dominic’s intellectual abilities as well as his keen sense of fraternal and community life, he was appointed sub-prior in 1201. Two years later a diplomatic trip brought Dominic into the Albi region of Southern France. A strong zeal for the salvation of souls was enkindled when the young canon encountered an innkeeper who was steeped in the errors of the Catharists, a heresy which threatened the region. Although other religious had been commissioned to preach in the region, little progress had been made. After a long night of intense discussion, the light of truth prevailed and the innkeeper returned to the practice of the faith. Dominic’s spiritual vision became clearer as he journeyed through southern France and witnessed the effects of the heresy. To combat the false teachings, Dominic realized the impact that priests with a mandate for itinerant preaching could have if they witnessed to authentic poverty and a purity of heart. Yet Dominic’s vision was universal; he saw a need in the Church which extended beyond the region of Albi. 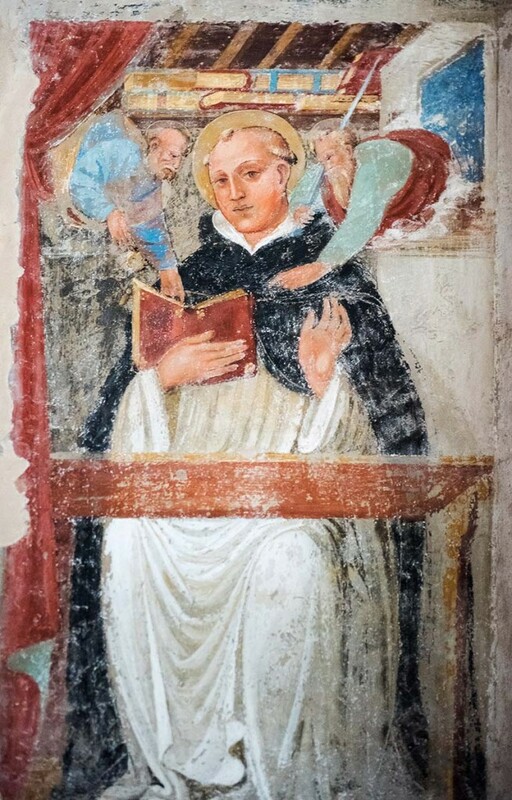 Dominic also established convents of nuns who would pray for the conversion of sinners and also for the fidelity and perseverance of the friars. The first foundation of nuns was established in Prouilhe in 1206, and the formal foundation of the fathers was established in 1217. As the Order of Preachers spread through Europe, the Third Order developed, which includes sisters and the laity. Dominic’s genius was one of renewal and transformation of existing monastic customs and traditions. The Rule of St. Augustine was adopted, and a democratic form of government was instituted. A General Chapter was convened on a regular basis, and the office of Master General was established. As mendicants, those in the Order were allowed to leave the cloister to study and teach at universities, to preach and to bring solace to those in need of healing. This revolutionary form of active monasticism is characterized by a strong sense of balance. Clothed in the distinctive habit of the Order, the Dominican balances the black of penance with the white of purity. In teaching and preaching, the Dominican discovers the artful balance of truth and charity. In living a common life in the cloister and leaving to minister to the Word, the Dominican treasures the silence of contemplation with the zeal of the apostles. Just as St. Dominic’s life was punctuated by night vigils, fasting, prayer, and penance, the Dominican punctuates the secular world with the grace, life and light of Christ. With the Rosary in reach the successors of St. Dominic continue to serve the Church as faithful witnesses to the Word with a devoted affection for His Mother.